Pay Methods: Cash,Credit cards and Bank transfers. Pay Terms: You may confirm this reservation with a $750.00 non-refundable deposit. Sightseeing: In Vancouver and Victoria; Stanley Park, Butchart Gardens, orientation tour of Prince Rupert, guided visit to the North Pacific Historic Fishing Village, and Columbia Icefield (Ice Explorer ride). Inside visits as shown in UPPERCASE in the tour description, including admission charges where applicable. Scenic Highlights: Strait of Georgia, Gulf Islands, coastline of Vancouver Island, Campbell River, Skeena River, Pacific Coast rainforest, Jasper National Park, Lake Louise. Guides: Services of a professional Tour Director. Join us on this exciting tour from British Columbia’s coast, taking an enchanting cruise through the Inside Passage, VIA Rail's Jasper–Prince Rupert train, and ferry crossings to/from Vancouver Island. Begin your journey in Vancouver with city sightseeing before taking a ferry to Victoria, where you’ll enjoy two overnights and a city tour, plus time for optional activities, including a whale-watching cruise. Also visit world-famous Butchart Gardens with its 55 acres of showcase floral exhibits. Finally, cruise the Inside Passage to Prince Rupert, where you’ll board Canada's VIA Rail train to Prince George. 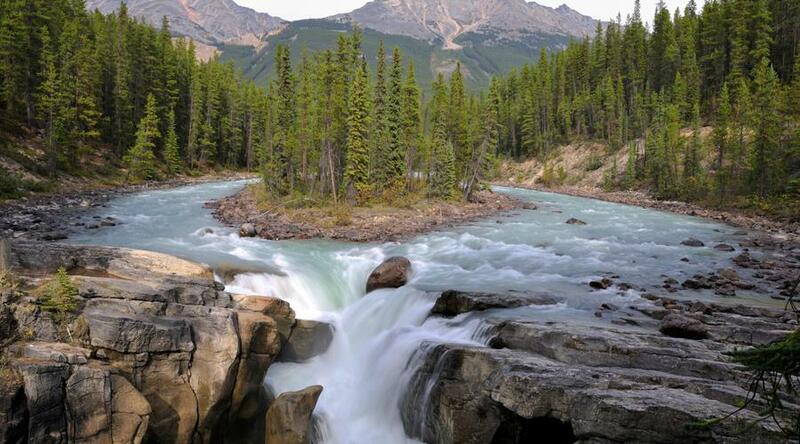 Leave British Columbia and cross the border into Alberta, where you'll overnight in Jasper National Park and Banff National Park. 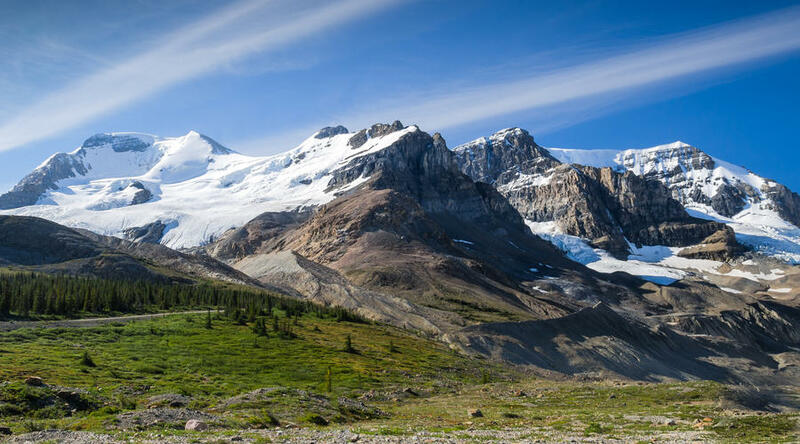 Other fabulous visits include a thrilling ride aboard an Ice Explorer on the Columbia Icefield, the largest expanse of ice in the Canadian Rockies, Mount Robson, Lake Louise, and Yoho National Park. 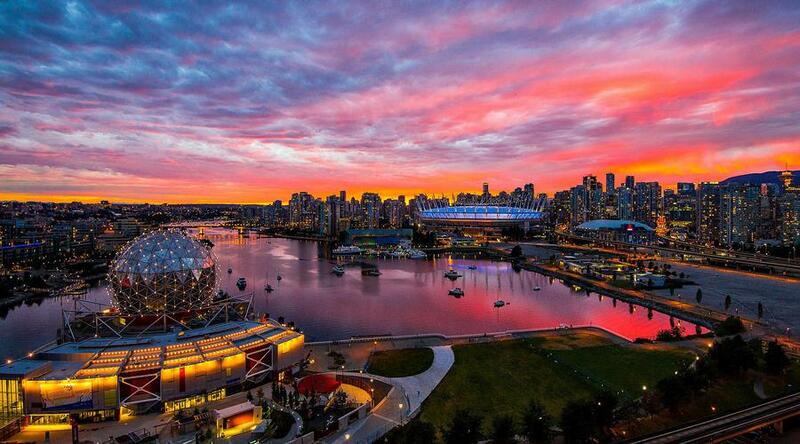 Welcome to Vancouver! Your Tour Director is on hand late this afternoon to answer any questions. This morning, an included city tour highlights STANLEY PARK, Chinatown, the harbor and beaches, and more. The rest of the day is at leisure, and your Tour Director will have suggestions for your further exploration of the city. Maybe take a water taxi to lively Granville Island with its outdoor markets, street musicians, and waterfront cafés. Or, visit historic Gastown with its steam-powered clock, antique shops, art galleries, and street vendors. This morning, set sail across the Strait of Georgia through the spectacular Gulf Islands, an area known for its Mediterranean-like climate. Afternoon sightseeing in Victoria includes world-famous BUTCHART GARDENS, Bastion Square, and Thunderbird Park with its unusual collection of totem poles. 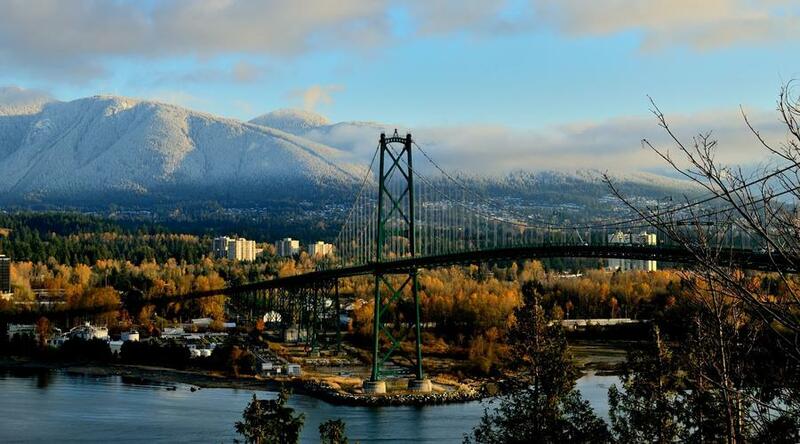 Be sure to discover some of the attractions this splendid city has to offer, including the Royal British Columbia Museum, Afternoon Tea at the Empress Hotel, a whale-watching cruise on the Strait of Juan de Fuca, and fine shopping along Government Street. This evening, join our optional excursion in Chinatown, complete with colorful lanterns and dinner at an authentic restaurant. An early departure from Victoria follows the eastern coastline of Vancouver Island, stopping at Chemainus, the unique village with more than 30 murals depicting pioneer settlement of the area. Then, it’s through the port of Campbell River, the “Salmon Capital of the World. Day 6 Port Hardy–Inside Passage Cruise–Prince Rupert. Early this morning, embark on one of the world’s most beautiful ocean voyages. The scenery is spectacular, with towering mountains, roaring waterfalls, endless islands, and virgin rainforest. Marine life abounds, often with sightings of sea lions, eagles, and porpoises—you may even spot a killer whale! Late-evening arrival in Prince Rupert. Depart for an orientation tour of Prince Rupert, then visit the NORTH PACIFIC HISTORIC FISHING VILLAGE, a National Historic Site, for a guided tour of British Columbia’s oldest cannery village. Learn of the canning process and what life was like in the village during peak production in the last century. Day 8 Prince Rupert–VIA Rail® Train–Prince George. Pricing is based on RedLeaf Service on the Rocky Mountaineer. Upgrade to SilverLeaf Service for a supplement of $370 or upgrade to GoldLeaf Service for a supplement of $750. Please book early, as space is limited. Prices based on double room occupancy. 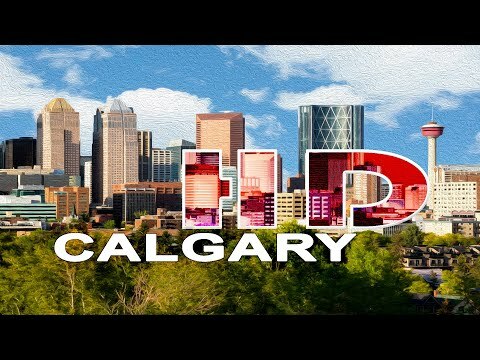 Single Room Supplement: $485 (May 5-26); $660 (June 2-September 26) Triple Room Reduction per person: $95 (May 5-26); $135 (June 2-September 26) Calgary Arrival Transfer Calgary International Airport: $23.00 per person Based on the same arrival & departure date. prices may vary in case of extra nights. please call for the exact pricinig. Cash,Credit cards and Bank transfers. You may confirm this reservation with a $750.00 non-refundable deposit. Additional excursions and activities not listed as 'included' in the itinerary. The price listed does not include your airfare. Transfers; tips to your Tour or Cruise Director, Local Host, driver, Local Guides, and/or ships' crew; gratuities on ferries, trains, and cruise ships; porterage at airports or train stations. Please read the policies carefully. This section contains important information. 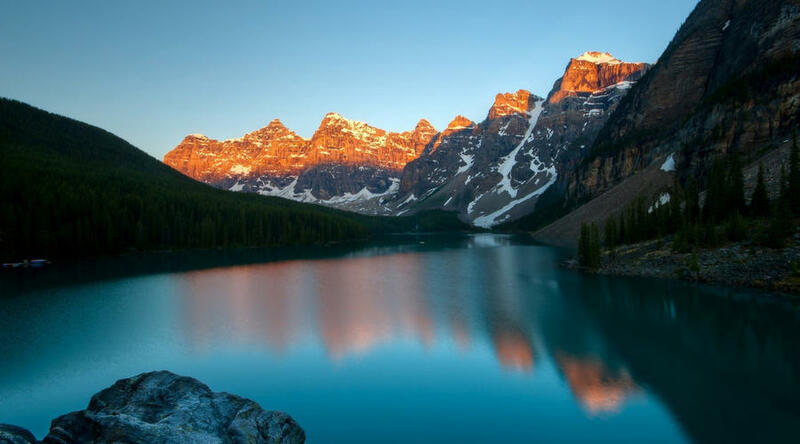 * TRANSPORTATION: 2-day, all-daylight rail journey on board the Rocky Mountaineer® in RedLeaf Service; SilverLeaf Service and GoldLeaf Service upgrades are available; ferry crossing to/from Vancouver Island; private, deluxe air-conditioned motorcoach while touring. * VALID FOR: Minimum 2 person travelling together. * CHILD POLICIES: Children ages between 0 to 7 are not allowed in this vacation. * : Children ages 8 to 17 on the date of departure are welcomed if accompanied by an adult. * NOTE: All RedLeaf travelers should pack an overnight bag for the train journey. Suitcases for SilverLeaf and GoldLeaf travelers will be delivered in Kamloops; suitcases for RedLeaf travelers will be checked and unavailable for the overnight in Kamloops. * NOTE: RedLeaf Service® – $0 per person As an option, you can select RedLeaf Service®, which allows you to settle back in your fully reclining seat in air-conditioned comfort and enjoy the excellent service provided by your Onboard Attendant. Chilled breakfast and luncheon selections are served at your seat so you will not miss a moment of the scenery throughout the journey. SilverLeaf Service® – $370 per person As an option, you can upgrade to SilverLeaf Service®. A custom-designed, single-level, glass-domed SilverLeaf coach puts you right in the middle of the awe-inspiring scenery of the Canadian Rockies. Relax and take in the dazzling vistas from oversized panoramic windows, and enjoy hot meals at your seat. GoldLeaf Service® – $750 per person As an option, you can upgrade to the GoldLeaf Service®. By upgrading to the GoldLeaf Service®, your seat will be in the GoldLeaf dome coach offering 360-degree panoramic views of the spectacular Canadian Rockies which puts you in the middle of the awe-inspiring scenery as you bask in a level of luxury that recalls the train travel of days gone by. With a separate dining room, gourmet menu selections, a team of Onboard Attendants to provide you with attentive personal service, and commentary. Rocky Mountaineer GoldLeaf Service® is as good as it gets. 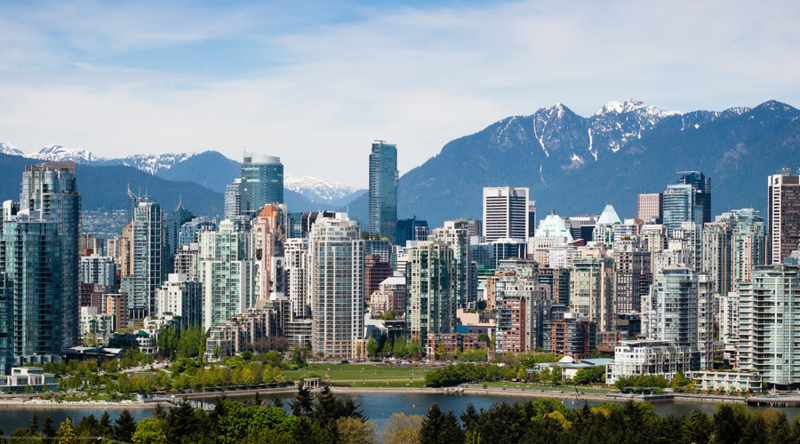 Sightseeing: In Vancouver and Victoria; Stanley Park, Butchart Gardens, orientation tour of Prince Rupert, guided visit to the North Pacific Historic Fishing Village, and Columbia Icefield (Ice Explorer ride). Inside visits as shown in UPPERCASE in the tour description, including admission charges where applicable., Scenic Highlights: Strait of Georgia, Gulf Islands, coastline of Vancouver Island, Campbell River, Skeena River, Pacific Coast rainforest, Jasper National Park, Lake Louise., Guides: Services of a professional Tour Director. We would be more than happy to help you. Our advisors are 24/7 at your service to help you. Directly or through our partners around the world. Avail best rates and offers our engines gather. Guaranteed. We are always ready to help and will not leave you alone.